Is Kilns College Right For You? You are in the right place! Each student, alumni and faculty member is using their gifts and talents to transform the world and to seek justice for the marginalized and oppressed. If you have a similar heartbeat, you will fit right in. Each student, alumni and faculty member is using their gifts and talents to transform the world and to seek justice for the marginalized and oppressed. If you are pursuing a different type of education we would recommend looking for a different program. Wonderful!  Kilns College was founded on the belief that God is using His church for the restoration of justice in the world. Our faith and theology is foundational to the way we see the world and the way we understand God to be working in it. The belief that our desire for justice is informed by our faith is foundational to us as a program. If it’s not a statement you agree with Kilns might not be the best fit for you. You will fit right in!  Kilns College is made up of a community of students, professors, activists, humanitarians and theologians from all walks of life all over the world. Together we will learn from one another. Kilns College is made up of a global community from different cultures, ages and experiences. The combination of these differences is essential to our learning experience. If you don’t get excited about that, our program might not be the best fit for you. You’re in luck! Kilns College in a 100% online school, which means that you can study on your own time in your own space. You can also decide how quickly you would like to complete the program, which means you can get your degree at a pace that feels comfortable to you! Kilns College is a 100% online program. If you prefer and in-classroom experience then unfortunately Kilns College probably isn’t the best choice for you. Here at Kilns College we believe that your education should be practically applicable to your everyday life. Your education will provide a safe space to question, wrestle and grow in deeper understanding of yourself, God and the world around you. No problem! All programs are different. If you aren’t as interested in practical application, we recommend a program that puts an emphasis on theory. There are many out there, we wish you the best of luck in finding a program that works best for you! Do you want more information about our programs?